On the Vinyl Music Hall calendar, sandwiched between the surf punk of Agent Orange and the outlaw country of David Allan Coe, were three separate generations of punk music gathered on one stage for an energized night of music. Vinyl hadn’t quite filled up when Scars and Stripes opened the bill, ready to show their youth and power as they opened the night. “It’s good to be back in Pensacola. We’re from Ft. Walton!” announced Mikey (vocals/guitar). 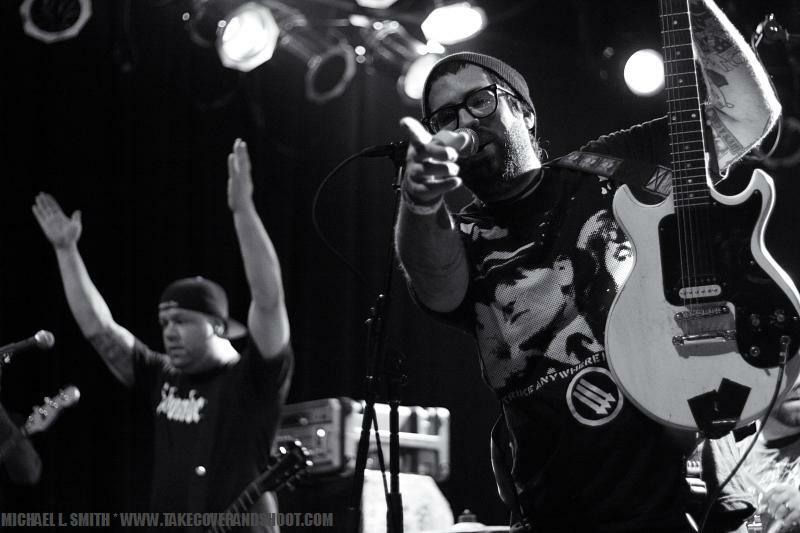 With a hearty middle finger on ready display, Mikey sped into an inspired set supported by Nicky (keyboards/vocals), Matt (drums), Donny (bass/vocals), and Dustin (guitar/vocals). Scars and Stripes warmed up the ever-growing crowd and loosened them up for the touring bands about to take the stage. Formed in 1995 in the American Music Mecca of Austin, Texas, the guys of Lower Class Brats went against the grain of the grunge/alternative sound that saturated the music scene of the time. The title of their first demo, “Working Class Punk,” is a fitting way to describe the band and the sound they delivered to the world and the Pensacola crowd this night. Looking like a blend of Generation X era Billy Idol and Rutger Hauer’s Roy Batty character from the sci-fi noir thriller, Blade Runner, Bones DeLarge (vocals) immediately set the tone for the night when he noticed the barricade that kept the audience six feet away from the band and told the crowd to push the barricade forward and come closer to the stage. 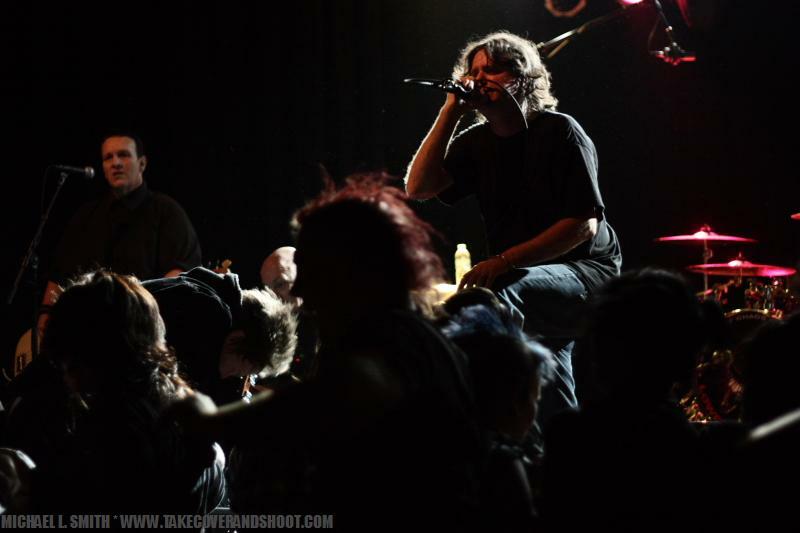 Within a hot minute, DeLarge’s command was fulfilled and with support from original member, Marty Volume (guitar, vocals), Johnny O. Negative (bass), and Joey The Kid (drums), the Austin quartet fired through 15 years of life-driven punk music. Rallying against the follower syndrome prevalent in society, DeLarge promoted self-action and the questioning of authority throughout the set, declaring that they are “Anti-Nazi, Anti-junkie.” After the crowd joined the chorus chants of “Who Writes Your Rules (For Rebellion)”, DeLarge implored the crowd to sing “Happy Birthday” to their bassist, Johnny O. Negative. With a history dating back to 1980 and cited as the inspiration for past, current and undoubtedly future musicians of punk and various genres of heavy music, this lineup of the Adolescents made their introduction to Vinyl Music Hall stage. Needing nothing more than a nod to the crowd, Tony Cadena (vocals), Steve Soto (bass), Mike McKnight (guitar), Matt Beld (guitar) and Mando Del Rio (drums) didn’t need to use any words or statements between songs. Banter was kept to a minimum as it was apparent what the group came to do. With barely a breath between songs, the Adolescents lit song after song, firing the crowd into shouting chorus with every word the band could fit into one night of their 30 year history. Intensely building on every second, the crowd became divided into three groups, those who stood in front of the stage, jumping and shouting as Cadena stood above them, those who circled in separate masses of rhythmic power and those who collected on the perimeter of the action to watch and possibly catch their breath. A safely contained element of expression where friends celebrated together, mixing with strangers who would soon become friends in this gathering. 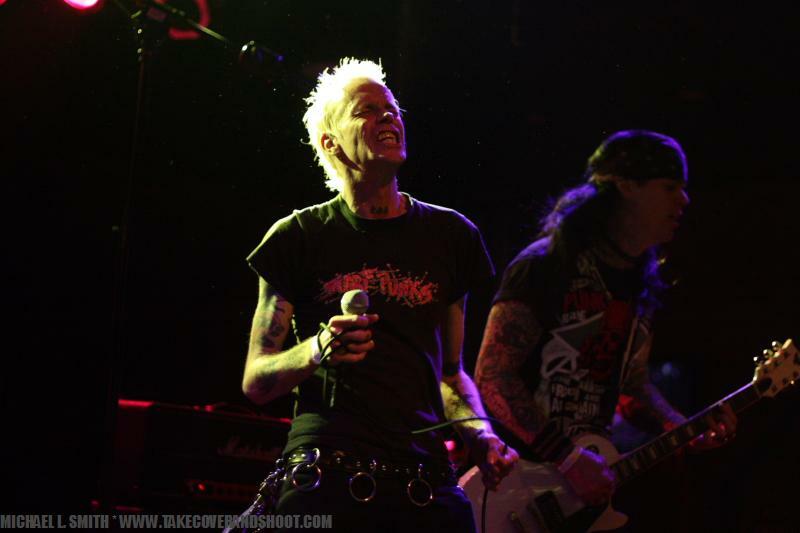 Songs such as “Rip It Up” served as catalyst for the crowd’s release of energy, excitement and devotion for one of the most inspirational bands of the American punk rock movement.